Black Friday? Already? Yep, Black Friday has morphed into an event that spans far beyond just the Friday after Thanksgiving now. Amazon is starting extra early thins year with some deals on magazines . And there is the ever “popular” Popular Photography in the mix for only $9.00. Easiest gift ever to give to a photographer. And it keeps giving all year long so they will think of you and your generosity 12 times a year. Get a few photographers on your holiday shopping list out of the way early this year, before Thanksgiving even. I’ve reviewed several canvas photo printers on Shutter Mike including Canvas on Demand, Arts Cow, Easy Canvas Prints and ZaZa Gallery. Each has its good and bad points, but in the end they are all pretty similar (except Arts Cow, I was not impressed with them). So even though I have never ordered a canvas print from Canvas Pop I’d guess they are probably pretty similar to the others. And what better way to test them out than with a coupon? Living Social has a Canvas Pop coupon for the next few days. It is essentially a 50% off coupon, buy $80 worth of credit to spend on Canvas Pop for only $40. Looking at their price guide it looks like that should give you a variety of sizes to pick from. But do not delay, this deal is up tomorrow. Tamron’s new 18-270mm Di II VC PZD 15X all-in-one zoom (available for Canon, Nikon and Sony) is being touted as having reached new levels of compactness, performance, and speed. 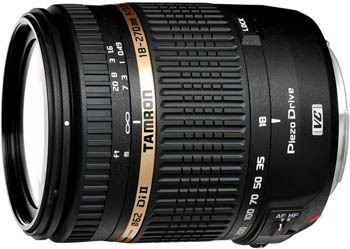 This is not a lens I have had a chance to work with yet but I have had good luck with Tamron lenses in the past and the reviews on this one are coming in with high praises. So I figured I would pass on this good deal; Tamron is offering a $50 rebate on this lens if you purchase it before May 9th. Check out and buy the 18-270mm Di II VC PZD 15X all-in-one zoom by May 9th to get a $50 rebate. There is always talk of the physical paper magazine going away with digital versions being so prevalent. I suspect that is not going to happen too soon. I still love getting an actual magazine in the mail and flipping through it. Even better is a magazine that I got a great deal on. So just in case you feel the same way I am passing on some great photography magazine deals from Amazon. Start the new year with a new magazine. With the countdown to Christmas in full swing and Thanksgiving days away that means one thing. The Black Friday deals are upon us. 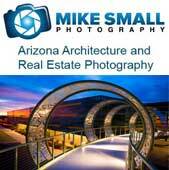 If there is a photographer on your gift list or you want to get something for yourself here is a great idea. In the age of digital photography one thing every photographer, amateur or professional, can never have enough of is digital storage. External hard drives make a perfect gift for photographers. And the great thing for the gift givers is that they keep getting bigger and cheaper. Here are a few external hard drives that any photographer could be very happy with and they are all under $100. If the only thing being backed up is digital photographs a 500 GB should last quite a while. But if you add music, videos and other files to the mix it could start filling up fast. This one is compatible with both Mac and PC and, depending on their size, can hold up to 320,000 digital photo files. That is a lot! You can’t argue with a whole 500 GB more storage space for less than the 1 TB drive above. We’re talking up to 400,000 digital photo files. And finally, the pièce de résistance the 2 TB drive. This is more storage space than most of us will ever need unless we are digital hoarders. But at under $100 you can get two. Happy gift shopping for the photographers in your life. 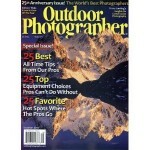 Check back soon for more great holiday gift ideas for amateur and professional photographers. 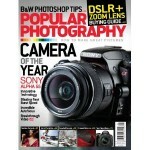 Or check last year’s post on 5 Gift Ideas Under $50 for the Amateur Photographer. And if you are looking for the perfect gift for your favorite photo blogger the 2 TB drive would be great! For today only you can save 30% on Lowepro camera bags, cases, and accessories on Amazon.com. To take advantage of the 30% Off Lowepro Camera Bags offer enter promotional code TRC2YTGQ at check out and the discount will be applies at checkout. But this is only through 10-30-2010, so you have to hurry. My main camera bag is a Lowepro Fastpack 250 and it is a great bag. 30% off makes it even better. Check out the May special over at artscow.com. Get a free canvas print and free shipping when you buy one canvas print. Upload your images, select the canvas size you want (I believe they have to be two of the same size) and enter the promo code MAYCANVAS at checkout. The promotion ends on May 25, 2010. 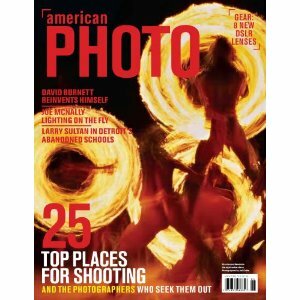 For April only, Amazon.com if offering an additional 50% off the 1 year subscription price of American Photo magazine (new or renewal subscriptions. That takes the regular price from $29.94 down to Amazon’s regular price of $12.95 and then down once more to $6.47. Not a bad price for a great creative photography magazine that profiles both the photographers and their work. 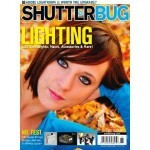 Get inspired, get some new tips and look at some great photography – can’t go wrong for about a $1 an issue. To get this deal order here and use promotional code APRMAG50.